Sumant is a corporate and policy lawyer of global eminence. He is Managing Partner of Kesar Dass B. & Associates, commonly known as Kesar Dass, a full service commercial and litigation law firm, operating in South Asia. Sumant was the founder managing partner of Kesar Dass till November, 2011. Sumant is senior international consultant to IMF, World Bank Group and OECD, has worked extensively on policy matters in Africa, Eastern Europe, Middle East and South Asia. Rated as India's No. 1 insolvency lawyer by Legal 500, his contributions to reforms in Indian insolvency system are well-recognised. Sumant has held leadership positions in prestigious multi-lateral, global and national organisations. He is Immediate Past president of INSOL International. He is a frequent speaker at various international and domestic conferences. His areas of specialisation are policy & regulatory advice, corporate insolvency & restructuring, foreign direct investment advisory, corporate and commercial transactions, debt recovery, private equity, real estate and corporate governance policy & compliances. Details of his area specific experience can be provided on request. He has addressed over 100 international conferences as a speaker from the Indian sub-continent. He is widely travelled and has, amongst others, frequently visited Austria, Australia, Bangladesh, Brazil, Canada, China, Egypt, France, Germany, Ghana, Hong Kong, Indonesia, Italy, Jordan, Malaysia, Mauritius, Nepal, Netherlands, Nigeria, Pakistan, Philippines, Republic of Korea, Russia, Singapore, South Africa, Sri Lanka, Sweden, Switzerland, Thailand, Turkey, UAE, United Kingdom and U.S.A. The Indian Insolvency Regime in West Service Publication- Norton's Annual Survey of Bankruptcy Law 2004. OECD publication 2006 - Corporate Governance of Non Listed Companies: India-An overview of Corporate Governance of Non Listed Companies. OECD publication 2003 - Informal Workouts, Restructuring and the Future of Asian Insolvency Reform. INSOL publication - "Directors in Twilight Zone". INSOL Publication- "Directors in Twilight Zone-II"
Sweet & Maxwell Asia publication - "Out-of-Court Restructuring in the PRC: The Changchun Approach". (Under process). INSOL publication - Recognition and Enforcement of Cross-Border Insolvency. OECD publication (2004) - Maximising Value of Non Performing Assets. Campden publishing journal -"Families in Business" Vol. 1 Issue 2 produced in official association with The Family Business Network, Switzerland. CIMEJES publication-International Insolvencies and Forensic Services 2004 (Under process). The Bar Association (of Sri Lanka) Law Journal 2003: Insolvency and Creditors Right in India. World Bank publication: The Legal and Judicial Environment for Financial Sector Development in Nepal- A Review. Law Business Research Publication: Getting the Deal Through: Insolvency & Restructuring 2006. Transforming for Globalisation - Breaking the Barriers - ICSI Publication on eve of 33rd National Convention - The Indian Insolvency Law - A Priority Reform. He has submitted papers at various international and domestic forums and regularly contributes articles in various international and domestic magazines such as INSOL World, Global Turnaround, INSOL Bulletin, Company Secretary and others. He contributes to web sites: GLOBAL Insolvency, International Insolvency Institute, BRIPASL, INSOL India and others. He has contributed a number of articles on policy and legal issues in The Economic times. He has excelled in co-curricular activities in school and college. 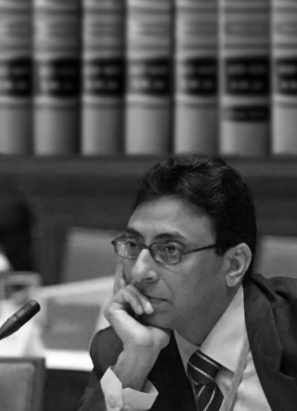 On being called to the Bar in 1989, Sumant joined the chamber of Mr. J.L.Gupta, Senior Counsel, Punjab & Haryana High Court at Chandigarh and the leading law practice in town, as an Associate Advocate. Mr. Gupta was later elevated as a Judge and has recently retired as Chief Justice of the High Court of Kerela. On Mr. Gupta's elevation to the Bench in 1991, Sumant established his own successful practice at Chandigarh. In 1993, Sumant moved his base to New Delhi and after working as an Associate with New Delhi Law Offices, a New Delhi based law firm from September to December 1993, founded Kesar Dass B & Associates (in March 1994).